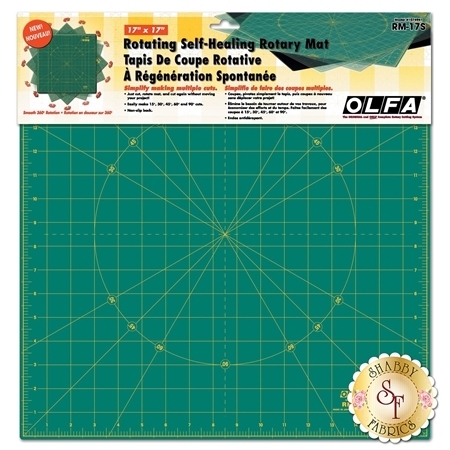 This Olfa 17" x 17" spinning self-healing rotary mat rotates 360º smoothly, eliminating the need to move your project or yourself around! It's so simple to use, just cut, rotate mat, and then cut again! It's perfect for cutting squares, triangles, circles, diamonds or any shape that requires turning and features a non-slip back for stable and safe cutting. Rotary mats are great for protecting your work area and extending the life of your rotary blades. *PLEASE NOTE: This item incurs a separate shipping cost of $10 US and $17 International, AND does not count toward the $75 Free Shipping for domestic customers.